If you’ve been in New York City recently, you might have noticed traffic officers and other NYPD personnel getting from place to place in three-wheeled scooters. Now, NYPD Commissioner William Bratton is looking at replacing the scooters with smart cars. “They’re midget cars, I guess you can call them,” Police Commissioner Bill Bratton told the New York Daily News recently. The Daily News says the agency has acquired nine of the single-passenger cars at a cost of $119,000 for the pilot program and currently is trying one out in Central Park. Soon the smart cars will be in use in the NYPD’s parking and school safety divisions in all five boroughs. 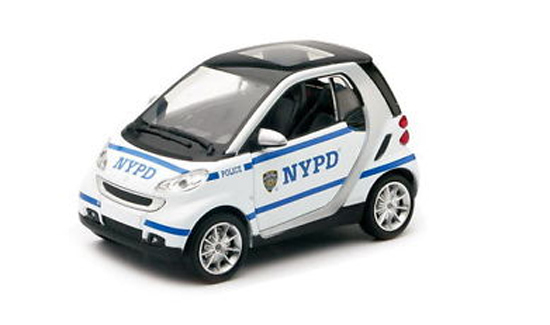 If the pilot program is a success the NYPD could be ordering a 100 more smart cars.